Dance the night away while enjoying an open bar and specialty food stations. The milestone event focuses on live interactive entertainment, and includes a sophisticated silent auction, raffle, art that rocks performance by Perego and a surprise appearance. 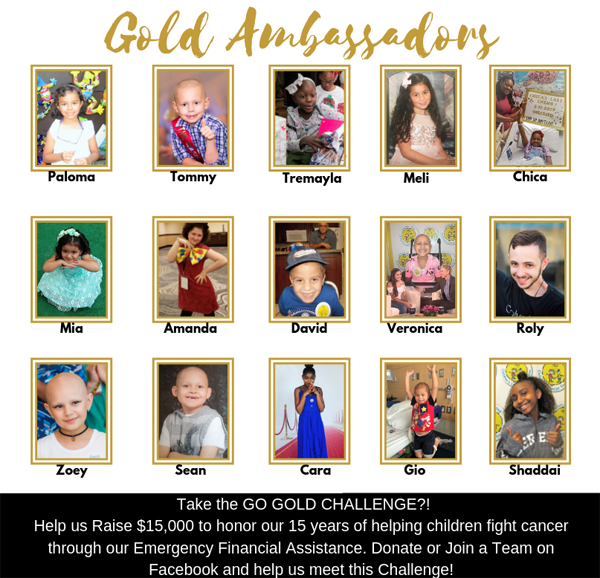 During the event, JJCCF’s Founder will GO GOLD on stage along with the winner of our “Go Gold Challenge” (fundraising teams taking the challenge to GO GOLD for kids fighting cancer). 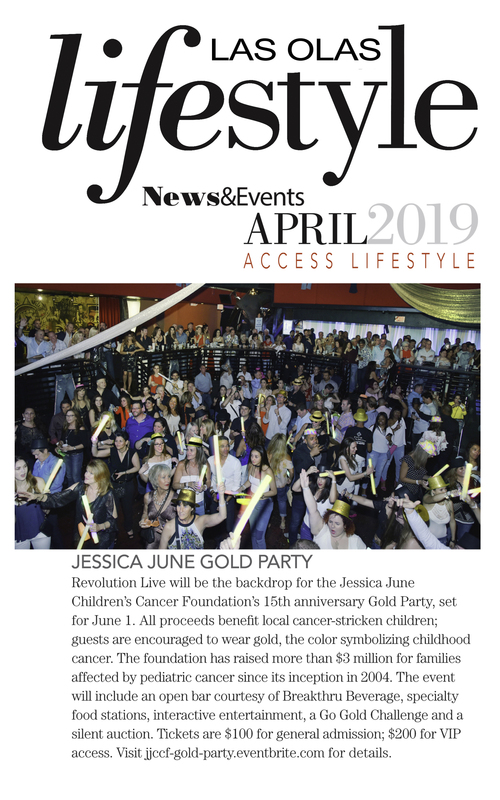 After 15 years, serving 4,500 lives, and raising $3 million to provide emergency financial assistance for families fighting childhood cancer, the Foundation is celebrating its anniversary with a “Gold Party.” The event produced by Events by Vento Designs will mesmerize guests with gold indulgence. 100% of event proceeds will benefit cancer-stricken children in South Florida. *Our last party, Fancy Jeans, sold out with 650 guests attending. Secure your ticket now! 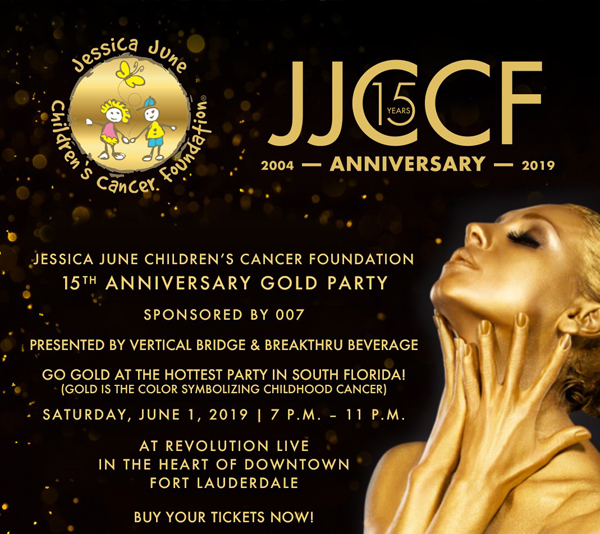 WHEN: Saturday, June 1, 2019, 7:00 – 11:00 P.M.
For more event information please call (954) 593-5603 or email info@jjccf.org. 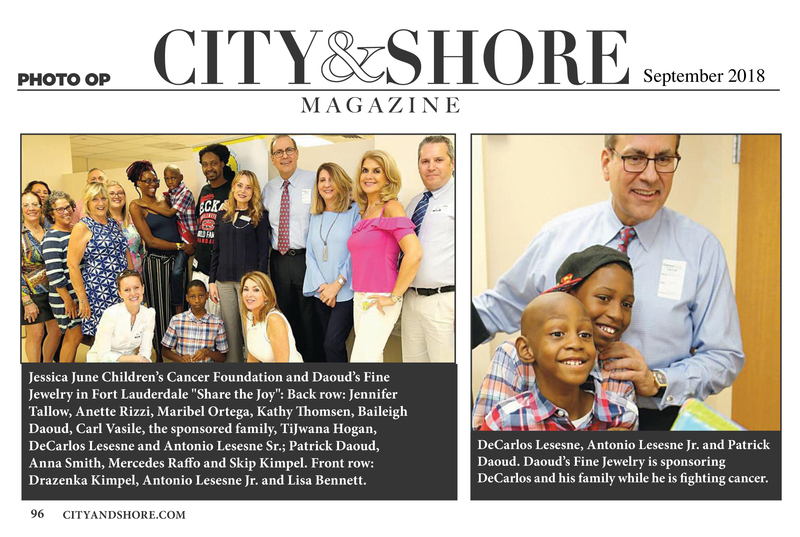 Each of these assisted children represents a year in the history of the Jessica June Children’s Cancer Foundation as we celebrate 15 years. 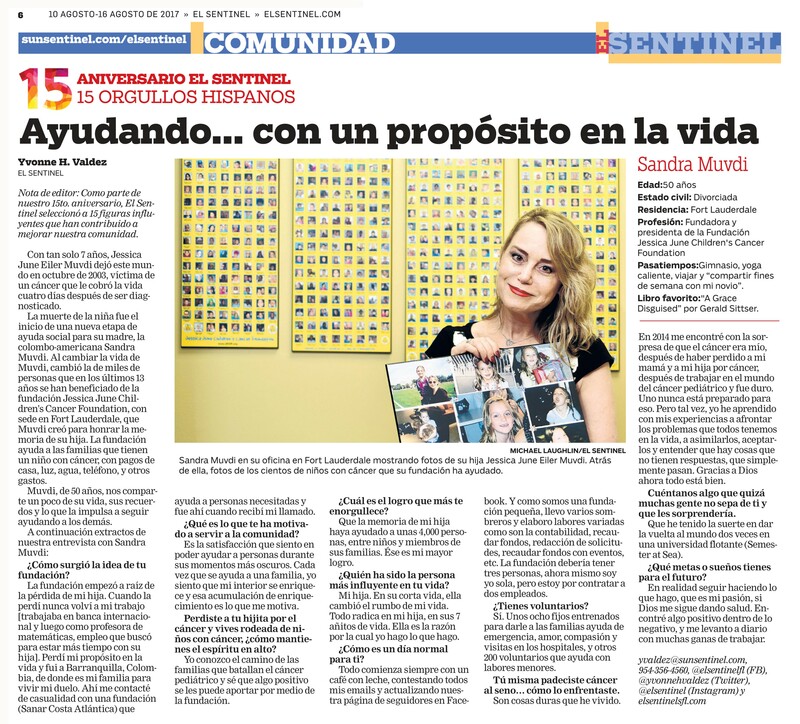 Sandra Muvdi, President / CEO / Founder of JJCCF: “We are very excited to be hosting this milestone event, not only to celebrate what we have accomplished over the last 15 years, but to raise money for local families in need of lifeline support. In honor of our anniversary and the kids we serve, I proudly accepted the challenge to GO GOLD on stage during the event!